I love seeing reader interpretations of things I do on my blog. 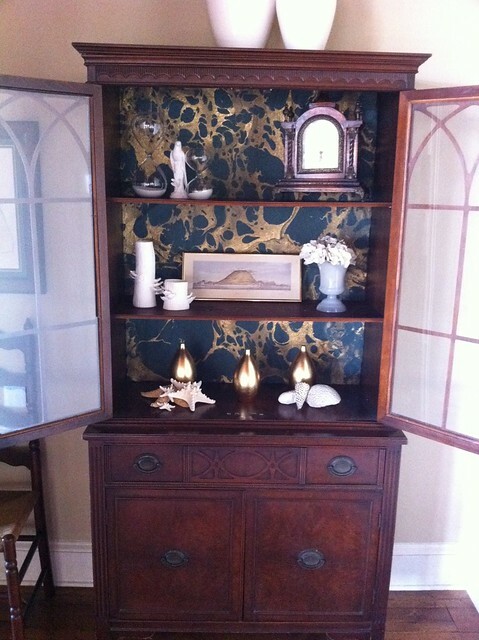 Here are two recent reader DIY projects that turned out ah-mazing!!!! Looks amazing! I love the gold and black! That fabric is awesome and it looks like a professional shade! Thanks for sharing Leah and Stephanie! If you have done a diy project that was inspired by my blog, I would love to see & share. i just discovered your blog and i love it! i'm inspired to decorate my apt. 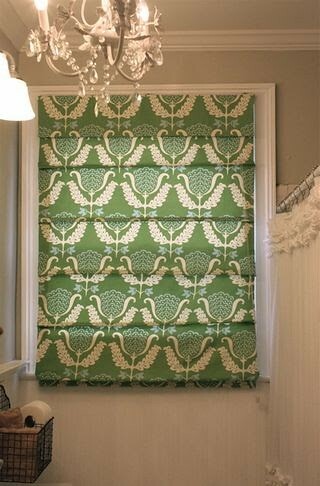 despite having a small budget..
That roman shade is incredible! I will be checking out your tutorial and giving it a try! The gold and black paper is so moody and chic! I love it. Both projects turned out great! Loving the marbled paper. It really adds to the hutches. Doesn't it make you feel good to inspire people? Good stuff! Oh I love that you show your reader's great DIYs...it makes me think I should attempt it! I am in awe with the window treatments! Looks so professional! 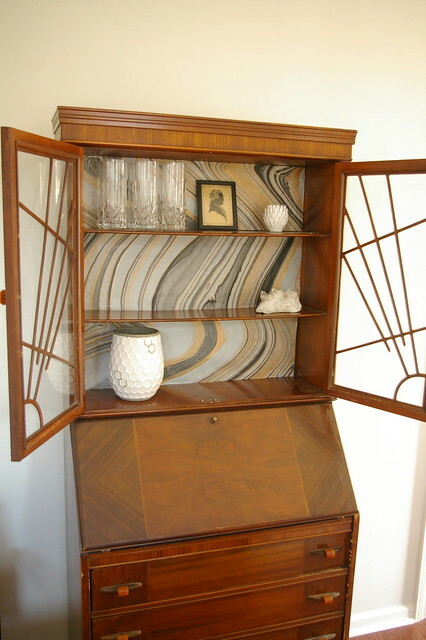 What I really like about the hutch hack is that its easy to redo if you fall in love with another fabric or pattern. Great for those of us who have fabric pieces lying around gathering dust because we fell in love with them and cannot think of what to do with them. 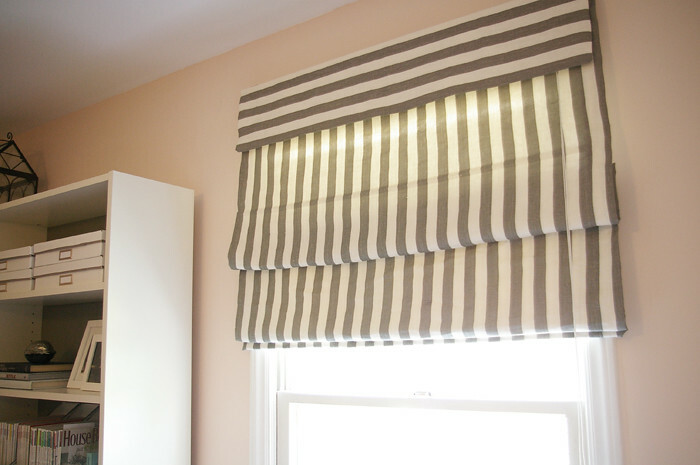 Thanks for sharing my roman shades project. Your blog is always so inspiring to me! Ooo, I really like Leah's paper too, it looks great! Wonderful idea!